We got a three seater which R and I could pedal with Tiger girl seated behind. Unfortunately she didn’t really fancy seating in the seat behind and wanted to sit upfront. 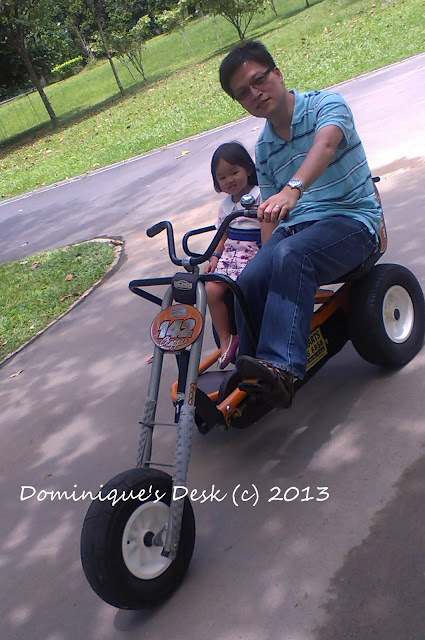 We had to take turns peddling her around the park. Tiger girl enjoyed hitching a ride around the park. 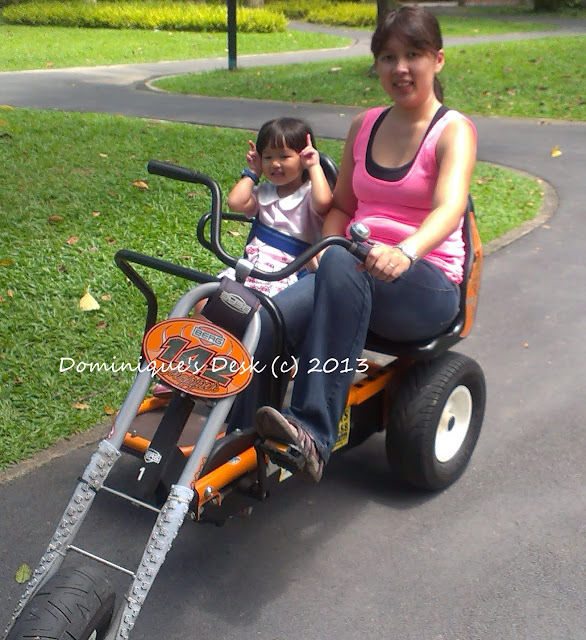 She kept on wanting us to pedal faster and faster but we felt it was safer to go at a moderate pace instead. I didn’t get a chance to take a photo of Doggie boy on his Go Kart as he whizzed off immediately once he put his feet to the pedal. Do you kids like to go on Go Karts too? Looked like you had fun I want to come next time heheh! Aw, I wish we had a Go Kart park nearby. Looks like so much fun! Cool go karts! I haven’t seen any like those…they look like a lot of fun. My kids would love to ride those. My kids have never been on one before!!! We have never done this, but I am sure my girls would have loved it when they were younger – probably now too. interesting vehicles. We have go karts here but they don’t look anything like that and they have motors on them. I love the shape of those and such fun that adults can fit too. I don’t think we have those here and if we do I’ve nver seen them. Those are awesome go carts! Never seen ones like that before. great activity to do with the kids! Those are cool looking go karts!!! Beautiful shots! You all had a lot of fun. Thanks for hosting Dominique! We have not tried that even when they were still younger but it would not be too late if we try that now..they still want to have fun even as they were already grown ups na. 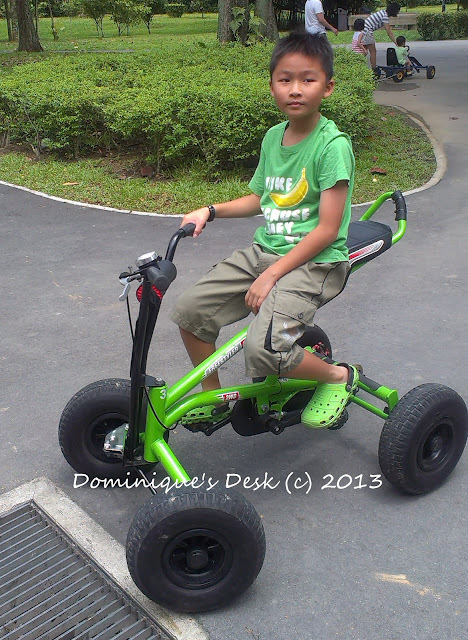 When my eldest son was still trying to walk we often go to the nearby park to walk and bike around. Though there was already a go kart in the area, we haven’t tried it yet. perhaps soon again….